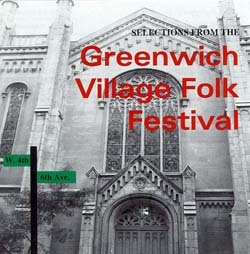 Various "W. 4th & 6th Ave.: The Greenwich Village Folk Festival"
Continuing into its 10th year this festival annually attracts the best of both the established and the up-and-coming. This collection includes selections from Richard Shindell, Lucy Kaplansky, Paul Siebel, David Massengill, and many others. A release that proudly represents this yearly folk festival tradition.